WordPress is probably the easiest and most powerful blogging and website Content Management System (or CMS) in existence today. You’re in good company in deciding to use WordPress at OurOnline.Company. Many famous blogs, news outlets, music sites, Fortune 500 companies and celebrities are using WordPress. At OurOnline.Company WordPress is included in both Personal and Business Packs as an optimized, and secure 1-click installation through our QuickInstall Application. In QuickInstall you will see easy installations for our most popular web applications, including WordPress. 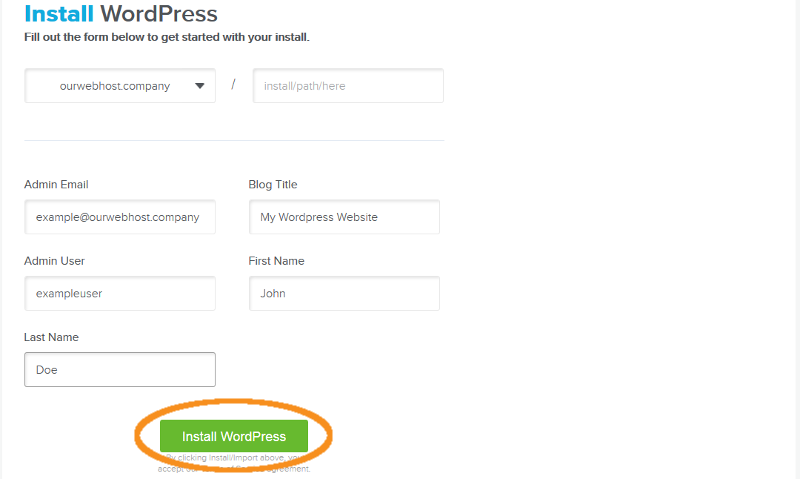 Click on WordPress to launch the WordPress installer. The WordPress installer will load where you will see an overview of the software. Click the Install WordPress button, under the Free Option, to continue. First you need to choose the installation domain name. If you want to install WordPress in a sub-directory like ourwebhost.company/blog then you need to enter blog in the install path field. Leave it blank if you want to install WordPress in the root directory, like ourwebhost.company. You need to provide a title for your site, this could be anything and you can always change it later. Next, you need to provide a username, password, and email address for the admin account. You will also need to enter first and last name for the admin user. Once you are satisfied with the settings, click on the Install WordPress button to begin the installation. QuickInstall will now install WordPress for you. You will see a progress bar and then an installation success message when it is done. Click on the drop down icon next to view credentials button in the success message. A fly down menu will appear with login credentials and a link to the admin area of your newly installed WordPress site. 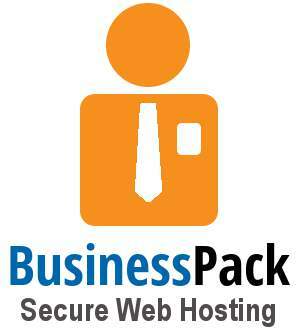 OurOnline.Company will also email the credentials to the email address you specified as the Admin Email. Log into your WordPress CMS using the credentials provided. On the left menu click Settings. Click General. Your WordPress website will now use the secure connections included with your OWN YOUR WEB hosting package.